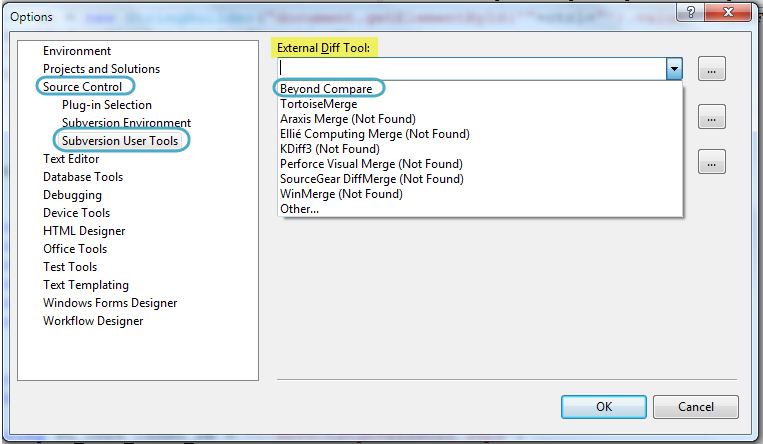 I would like to configure Visual Studio 2012 to open Beyond Compare by default as the diff tool. How can I do this? Note: The same SO question about VS 2010 is here but 2012 differs. Not the answer you're looking for? Browse other questions tagged svn visual-studio-2012 beyondcompare3 or ask your own question.